Mumbai-based IT solutions provider Tech Mahindra is banking on a couple of newly-struck partnerships to scale up its presence in the blockchain space as it looks to boost revenues from the distributed ledger technology. The listed company last week announced a tie-up with blockchain conglomerate Eleven01 Foundation, which counts Airtel, Idea, NSE and other system integrators such as TCS and Infosys among its members. The duo will work together on building an Eleven01 Protocol — a blockchain protocol focused on emerging markets that will serve as a foundation for decentralised applications. 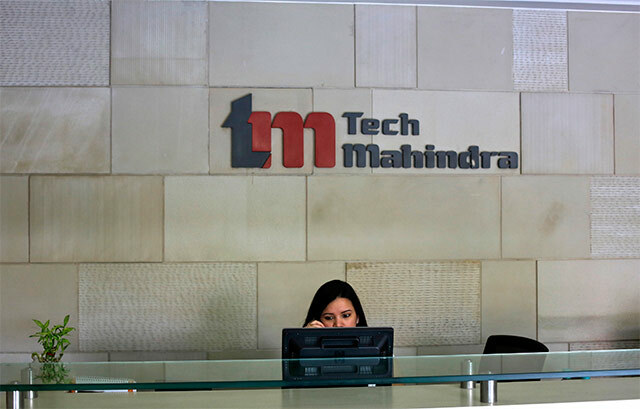 "We are working on the Eleven01 protocol because of its three strengths of security, being local and the control it offers," Tech Mahindra’s chief strategy officer Jagdish Mitra told TechCircle. He said that one of the critical advantages of the protocol was its ability to interact with other blockchain platforms such as the hyperledger and Ethereum or bitcoin-based chains. This can be done by opening up Application Programming Interfaces (APIs) of the applications developed on the protocol. The idea was to create a blockchain that can talk to other chains, otherwise we would end up with many blockchains which cannot communicate with one another, Mitra said. "Another key difference is that Eleven01 offers a rule-based dynamic authentication system via its smart contract management so that each transaction on the chain is authenticated by a particular set of users, in contrast to a hyperledger where all users have to consent to the transaction," Mitra said. Mitra, who also wears the hat of chief marketing officer at Tech Mahindra, said that the company was working on at least 80 use-cases with 100-odd clients in sectors such as fintech, manufacturing, automotive, healthcare, education, elections and land registration. Tech Mahindra also said last week said that it had signed a Memorandum of Understanding (MoU) with the Telangana government to launch India's first ‘blockchain district’. "The idea was to create a global blockchain business hub where people connect not only via software but also physically," Mitra said. The district will house a Center of Excellence for Blockchain - an incubator for technology and process development with innovative infrastructure and facilities to foster growth of Indian blockchain startups and companies, Mitra said. "The idea is to help startups working on blockchain to come out with new solutions to market problems not only in India but also globally. It will also serve as a one-stop shop for startups to knock doors of huge companies which would be an access issue otherwise," Mitra explained. The company is already working with more than 14 blockchain startups and has invested in companies such as TradeIX, Nucleus Vision and Chromaway. Tech Mahindra chief executive CP Gurnani had earlier said that the company would aims to rake in $100 million in revenue from blockchain technology in the next three to five years. As part of efforts to reach this milestone, Mitra said that the company was looking to upskill 3,000 blockchain experts this fiscal year via its Blockgeek programme. Currently, the blockchain practice has 150 employees on board.